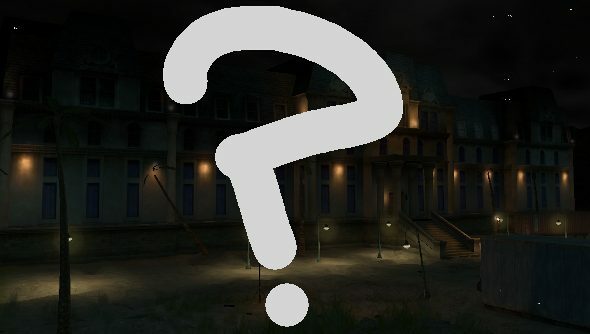 Topic of the Week: What are your favourite horror games? It’s almost Halloween, the best not-holiday of the year. When I was wee, and then when I was a student, it was my absolute favourite time of year, but I confess that these days I’m more likely to be holed up at home watching a spooky movie or playing a scary game rather than going to some sort of fancy dress bacchanalia. Don’t grow old, chums. It’s awful. Anyway! This brings us to our Topic of the Week. We want to know what your favourite horror games are, and if you’ll be dipping into them on Saturday. Note that while I’ve written ‘”horror”, it doesn’t have to be an actual horror game. You might find Papers, Please more horrifying than Alien: Isolation, for instance. Looking for horror game ideas? Check out our list of the best horror games on PC. I can watch the most gruesome, grotesque horror flick without batting an eyelid, but when it comes to games I’m a complete coward. That interactivity just chills my bones. So I’m generally quite bad at actually finishing games that spook me. A few years ago, I reviewed Outlast, and I was honestly a nervous wreck for the next couple of days. Despite this, I endure through some of them, and the one that sticks with me always is, surprisingly, Vampire: The Masquerade – Bloodlines. The blood-sucking RPG is not quite a horror game, but the Gothic Californian adventure is thick with an unsettling atmosphere, and several quests that are downright terrifying. It all starts in a haunted hotel. While the Tzimisce snuff movie set and the haunted hospital are all nerve wracking, it’s this early quest, which sends you into a derelict hotel, that continues to make me uneasy. I appreciate it for more than its ability to make me jump out of my chair, however. It’s a genuinely clever quest, forcing players to walk through this maze-like, once beautiful building, unable to use their preternatural strength or powers to overcome the horrors inside. There are some things even the undead fear. Anyway, that’s enough from me. What about you lovely lot? Tell us what your favourite scary games are in the comments.